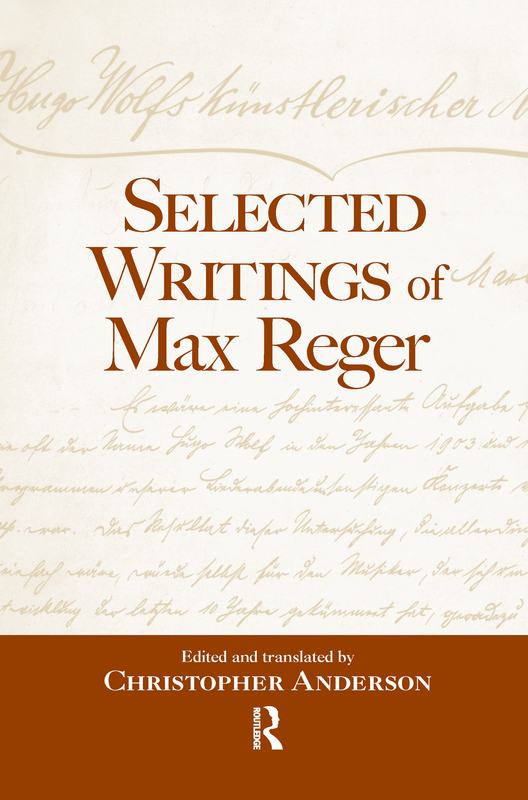 Max Reger (1873-1916) was a celebrated German composer, performer on piano and organ, and conductor. Well known for his compositions for keyboards and orchestra, Reger worked during the crucial decades when Western music transformed itself from the misty veil of Romanticism and Impressionism to the more hard-edged modernism that would prevail in the 20th century. Less well known are his writings about music and the composer's craft. Although he wrote a major book on music theory published in 1903 (and translated into English a year later), his extended essays on composition, his fellow composers, and analysis have never appeared before in English. Christopher Anderson, a noted Reger scholar, has gone back to original manuscripts as well as the published versions of these writings to produce definitive new texts. Additionally, Anderson has written an opening essay placing Reger's writings and music in the context of his time.